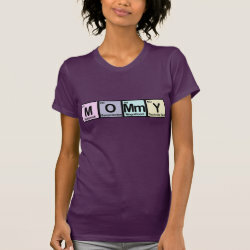 This clever design reads MOMMY using colorful letters with original cute elements. 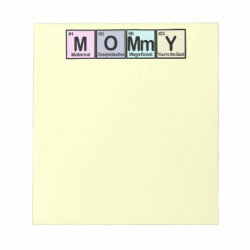 You won't find these on the periodic table, but they are all part More... of the maternal experience! 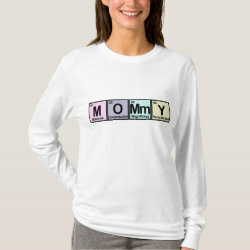 M is for Maternal, O is for Overprotective, Mm is for Magnificent, and Y is for You're the Best. 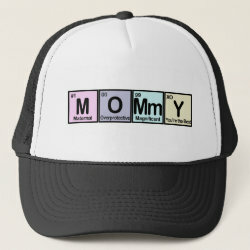 Cute for mom on her birthday or Mother's Day! !